At this time of year, when the weather is cold and wet, I find more than ever that I need to find a good moisturiser. I’ve tried a lot of different products over the years, but one of my all-time favourites has to be the iconic Nivea Creme. I was recently contacted by Nivea to ask if I would share one of their new products with you, and I’m really excited for you to see what they’ve made. I’m sure you’re all familiar with the blue Nivea Creme tins that have been passed from generation to generation. But they have now launched specially illustrated 75ml tins with tales for the entire family. These tins are available in four unique and distinctive designs. 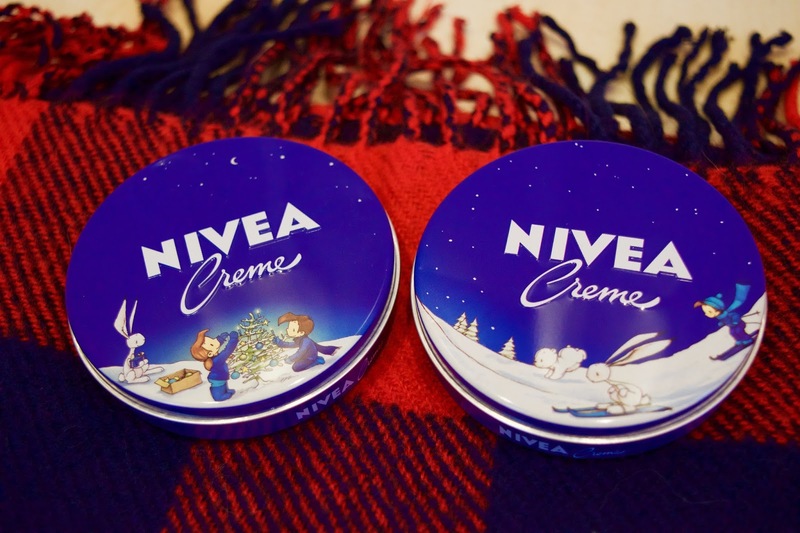 They will be available for a limited time only, to herald the launch of the brand new 75ml Nivea Creme tin, available in the UK from January 2016. The beautiful illustrations, designed by international artist Joelle Tourlanias, embrace the core values of Nivea Creme – simplicity, care, courage, trust and family. 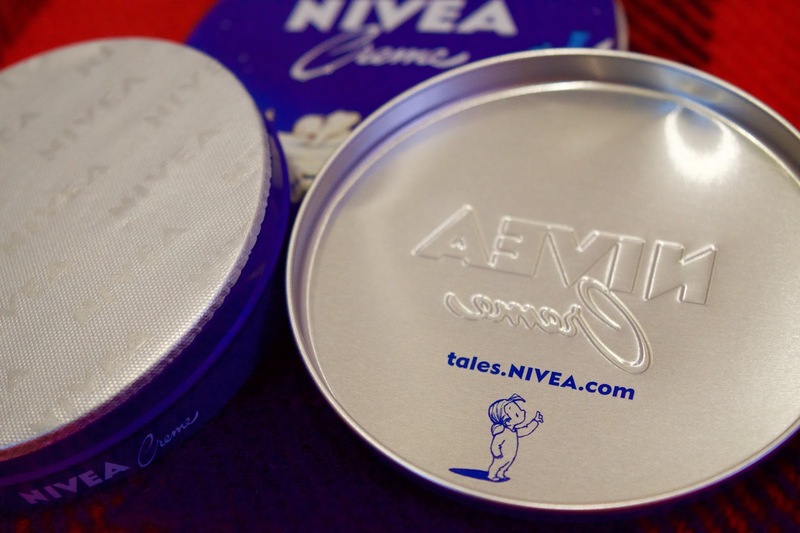 Inside the lid of each tin is a link to an online fairy tale, written by renowned children’s author Udo Weigelt. Each story can be enjoyed by the entire family and has been inspired by real life scenarios transformed into magical moments. Each focuses on the adventures of the different characters and their efforts to protect and care for one another. 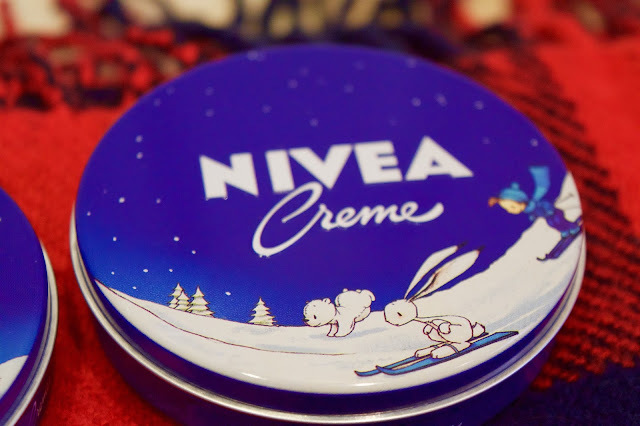 The heritage of Nivea Creme goes back to 1911, when scientists Oscar Troplowitz, Issac Lifschütz and Paul Gerson Unna revolutionised skincare and developed a moisturising cream suitable for everyone. From children to adults, to protect sore noses, dry hands and wind whipped faces; Nivea Creme leaves a protective layer on your skin, to keep skin nourished. Today, more than 15 billion blue tins have been used worldwide! 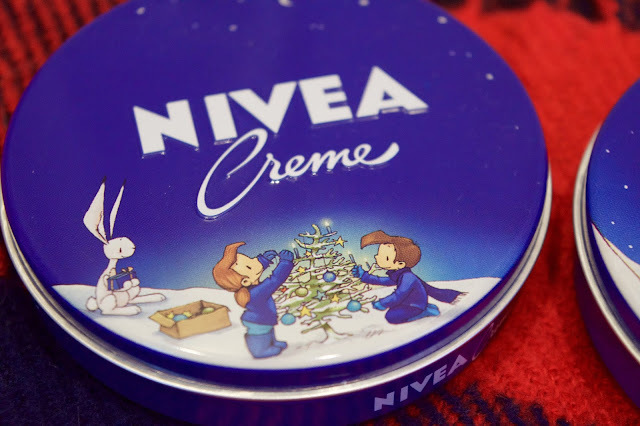 Nivea Creme blue tins are known for their caring benefits and sweet but subtle nostalgic fragrance. The moisturiser, created in Hamburg, is produced with emulsifying agent Eucerit© - a key ingredient used to stabilise the water and oil emulsion. The innovative formula helps to strengthen the skin’s barrier, while smoothing rough, dry skin and increasing moisturisation when applied. I really love the idea of these limited edition tins and think they would make a great stocking filler. I find the cream really thick and moisturising, but it always sinks in really quickly and doesn’t leave you with greasy hands. There are four to choose from, available for a bargain price of £1.99 at Boots and Superdrug – you could even treat yourself to one! Don’t forget though, they are only on sale for a limited time, so if you want to pick one up you’ll need to do it soon! 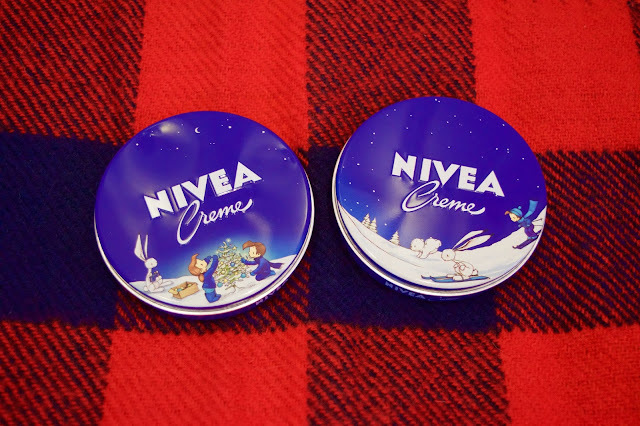 What do you think of the Nivea Creme limited edition tins? Are you a fan of this moisturiser, or can you recommend another product that works well?